Found 2 file extension associations related to RAM Elements and 1 file format developed specifically for use with RAM Elements. For analysis and design of almost any type of structure or structural component complete with sophisticated design tools, RAM Elements (formerly RAM Advanse) will help you with your everyday analysis and design needs. 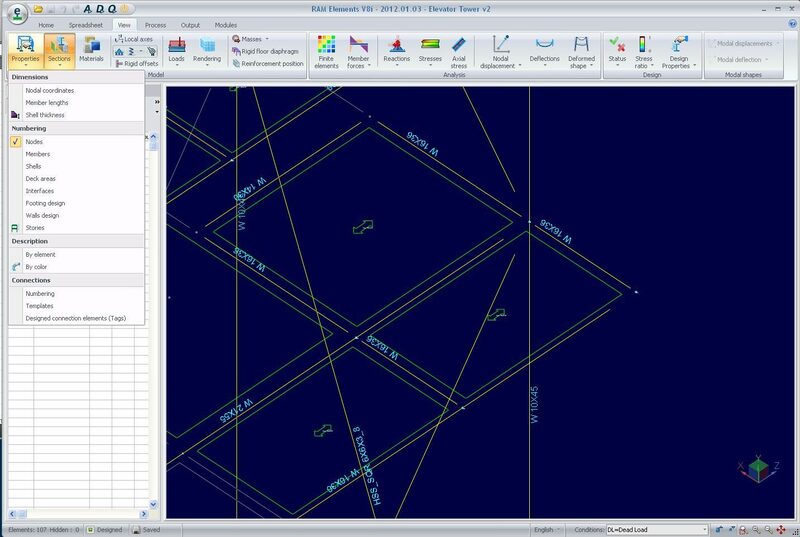 Whether you are designing trusses, continuous beams, frames of all types, retaining walls, masonry walls, tilt-up walls, shear walls, or footings, or performing many other everyday design tasks, RAM Elements delivers the industry’s most productive and easy-to-use engineering analysis and design toolkit! If you are still using a stand-alone finite element program for frames, trusses, and other indeterminate structures, and one or more specialty programs or spreadsheets for your everyday design needs, then RAM Elements is the perfect replacement—all wrapped up in one sophisticated and easy-to-use package. No more learning different programs for steel, concrete, masonry, wood, or cold-formed steel design; no additional special purpose products for retaining walls or tilt-up walls. Don’t get buried in manuals when RAM Elements can do all these things! If you need more information please contact the developers of RAM Elements (Bentley Systems, Incorporated), or check out their product website.